My brother and his family go to Disneyland almost every Halloween. From what I hear it is amazingly fun! The place is sold out, decked out, lights out fun... candy around every corner, all the visitors are dressed up, all the characters and staff out having fun... To some, this might sound like Disney is going a little overboard, to me it pretty much sounds like what I always wished Halloween would be. Today's Halloween project comes from the providers of the Happiest Place on Earth FamilyFun.com (by Disney) Here is their introduction to this fun Pumpkin project. "By day, there's not a soul in sight but after dusk, it comes alight each orange orb a glowing beacon for boys and girls gone trick-or-treating. This cozy haunt for spooks and sprites is easily conjured for Halloween night. So gather some pumpkins and carving tools and set the scene for visiting ghouls..." I love this idea of a village made out of pumpkins... who wouldn't want to live in a pumpkin? I can envision little Smurf-sized people walking in and out of their little pumpkin homes. See how they did this project here. If you are serious about cities built out of pumpkins (I don't know if Osha would approve) you could always go more along this route: Now that is going overboard! What Halloween projects have you been working on? There are a lot of awesome craft projects for the Halloween season. I want to share my favorite ones with you this week. At the end of the week there will be a Playful Factory original Toy Tutorial to add to the bunch. If you do any of the projects I would love to see some picts. Thanks and enjoy! 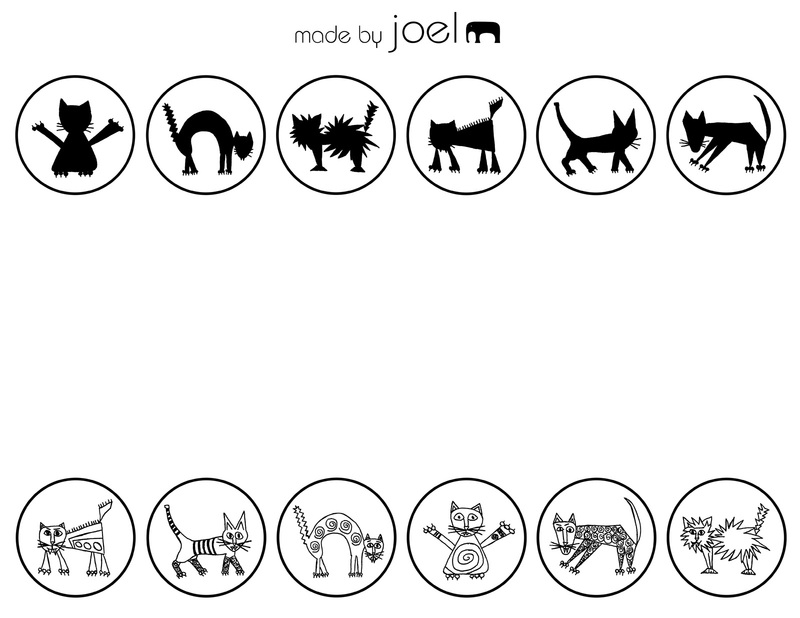 For the first Halloween project I want to share one of my favorite blogs for kids... Made By Joel provides great toy ideas for the kiddos... here is his Halloween toy this year: Scary Cats - Matching Game Download the full-sized version here, print it out, and give it a try. Made by Joel is also have a free toy giveaway right now! Go leave a comment to enter and win a small wooden elephant puzzle.